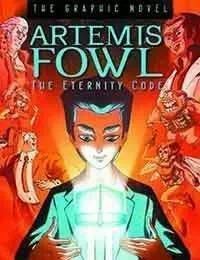 Book three of the Artemis Fowl oeuvre, now in graphic novel format! Artemis Fowl is going straight - as soon as he pulls off the most brilliant criminal feat of his career. But his last job plan goes awry, leaving his loyal bodyguard, Butler, mortally injured. Artemiss only hope of saving his friend is to enlist the help of his old rival, Captain Holly Short of the LEPrecon fairy police. It is going to take a miracle to save Butler, and Artemiss luck may have just run out!